Beautiful and classic blazer from Culture, with feminine details on the sleeves. 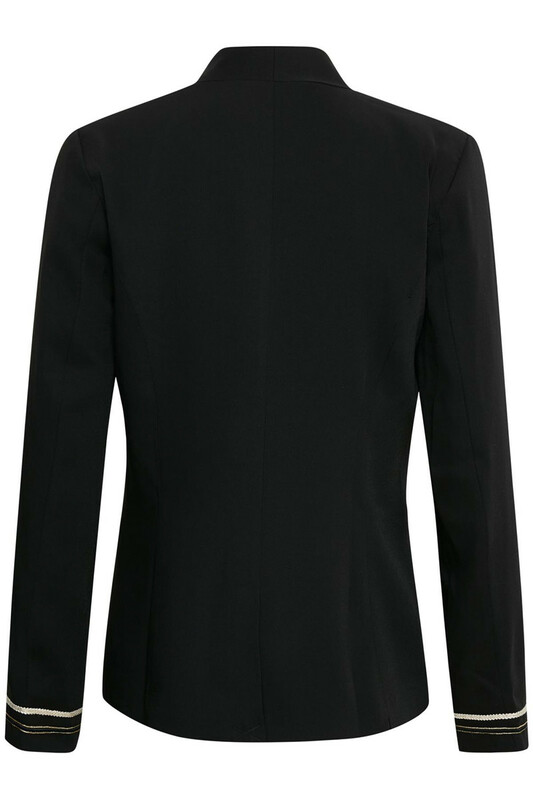 The blazer has a regular fit, two front pockets, shoulder pads and long sleeves. 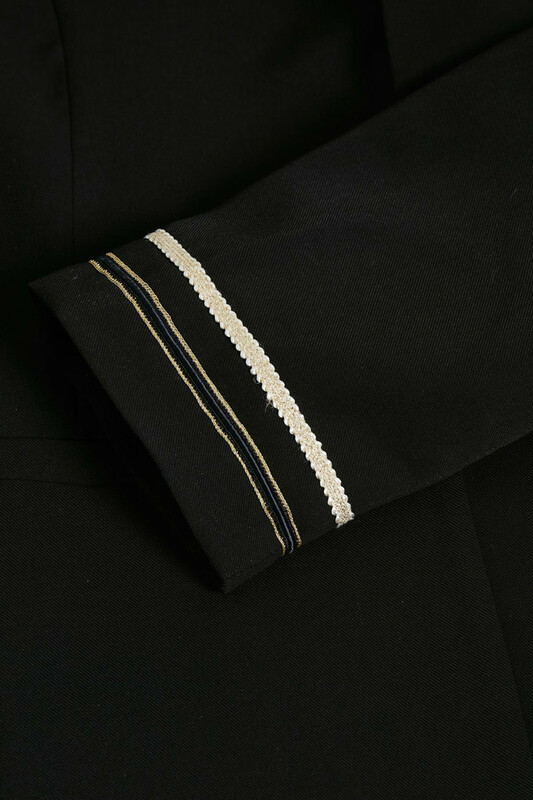 The sleeves have these beautiful gold details at the ends, which adds a little extravagance to the otherwise classic blazer. With its timeless design and a comfortable fit, is it perfect for both everyday use and party occasions. 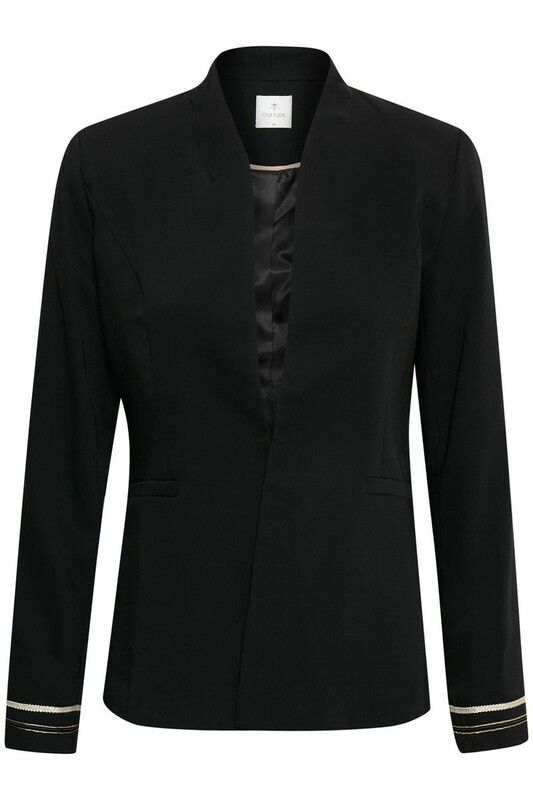 The blazer is also nice with both T-shirts, blouses and shirts. It can also be combined with Adele Pants, for a complete stylish look.